Are you tired of seeing apples on this site? 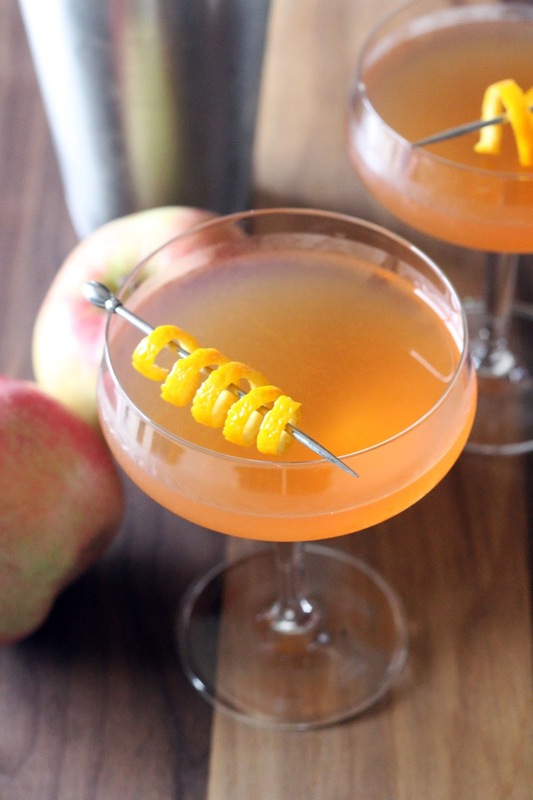 If you're not, then this cocktail is for you. Last year, I featured the Applejack Rabbit which puts applejack, front and center. 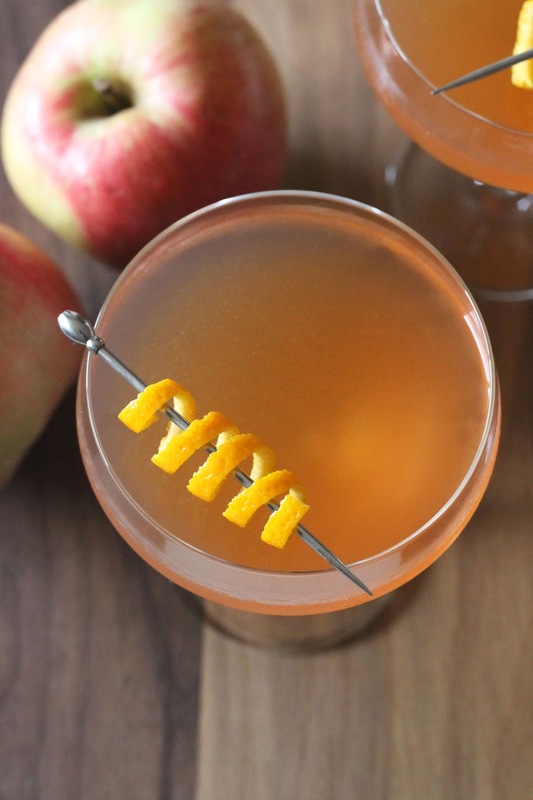 This cocktail still lets applejack shine, but has a few key players like gin and dry vermouth to back it up. 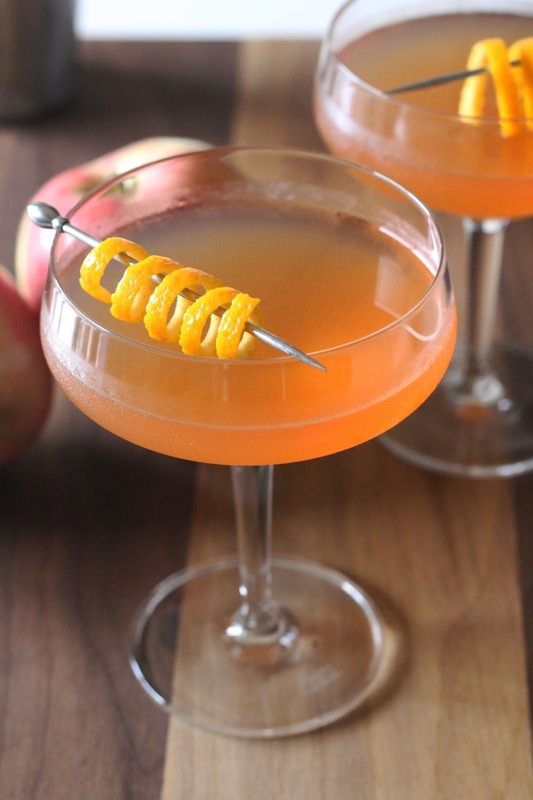 I will say, this cocktail does taste quite boozy so if you typically favor a more masked drink this may not be for you. 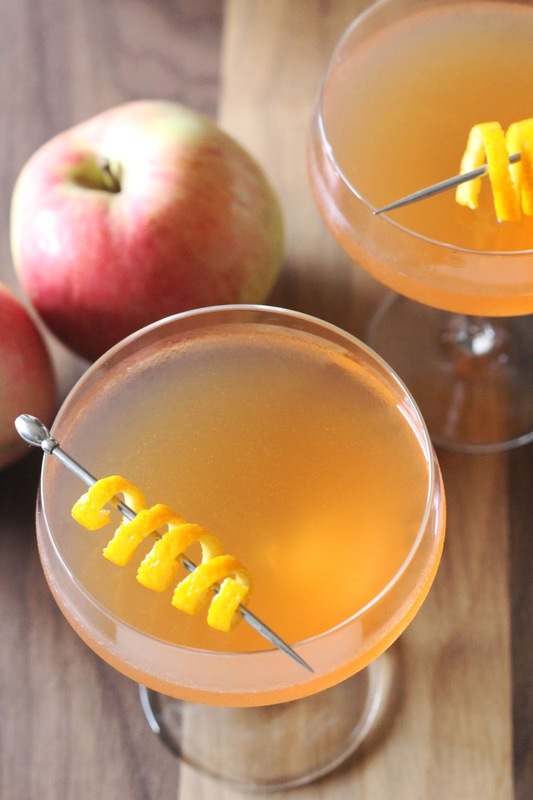 So, grab a bottle of your favorite apple cider and enjoy the fall weekend while you can. Cheers, it is finally Friday. Fill a cocktail shaker with ice. 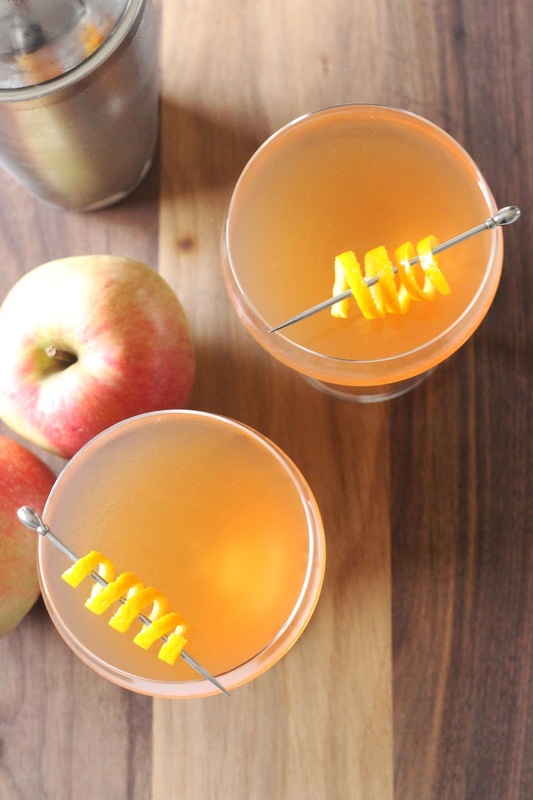 Pour gin, apple brandy, dry vermouth, apple juice, orgeat, and angostura bitters into cocktail shaker and shake vigorously until chilled. Strain into two coupe glasses. Serve immediately with a lemon twist. I'm in love with any apple drink. I've gotta try this!